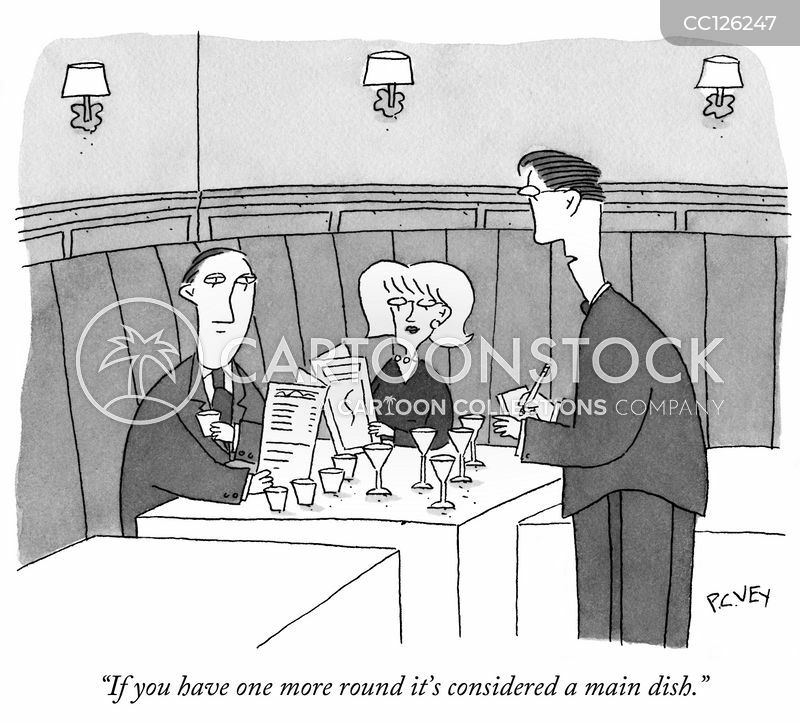 "If you have one more round it's considered a main dish." 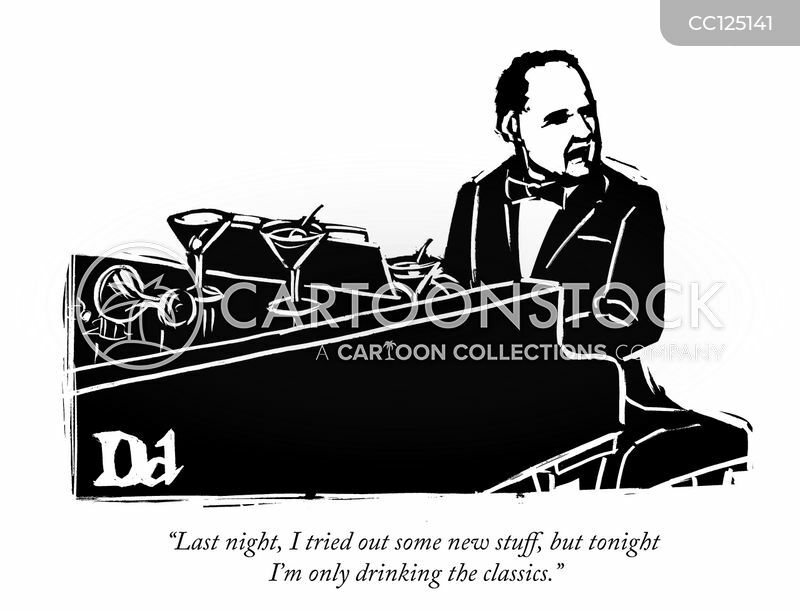 "Last night, I tried out some new stuff, but tonight I'm only drinking the classics." 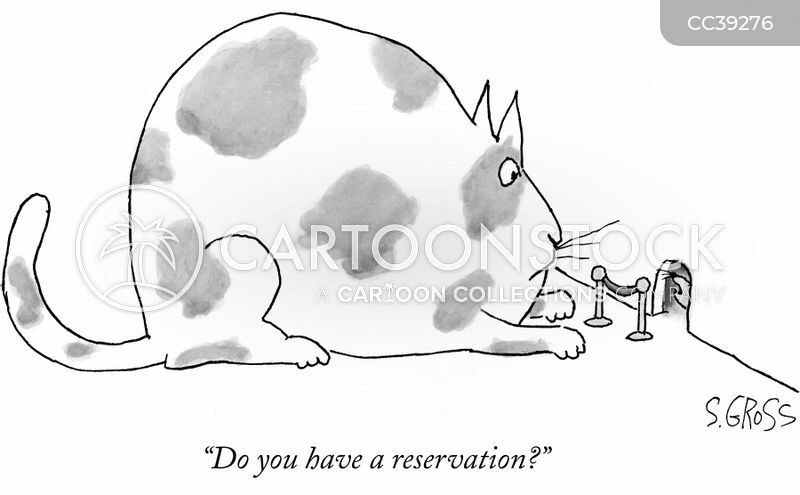 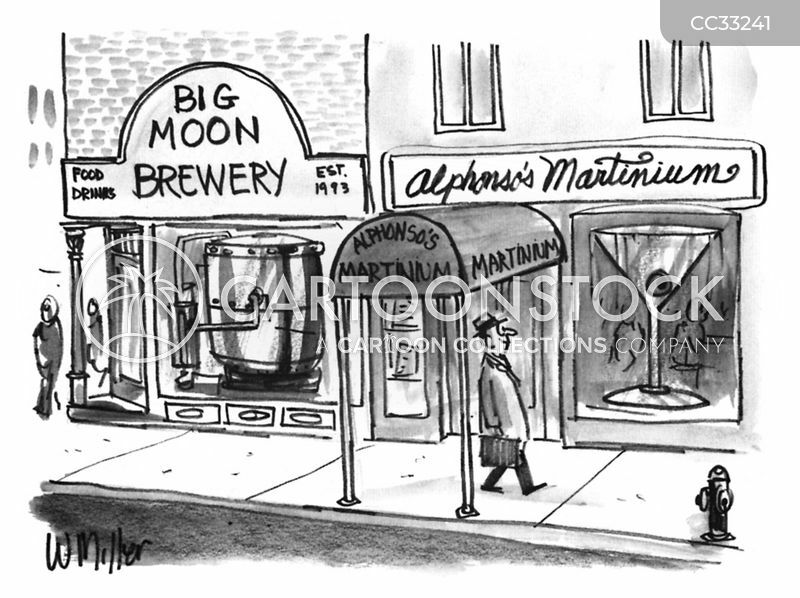 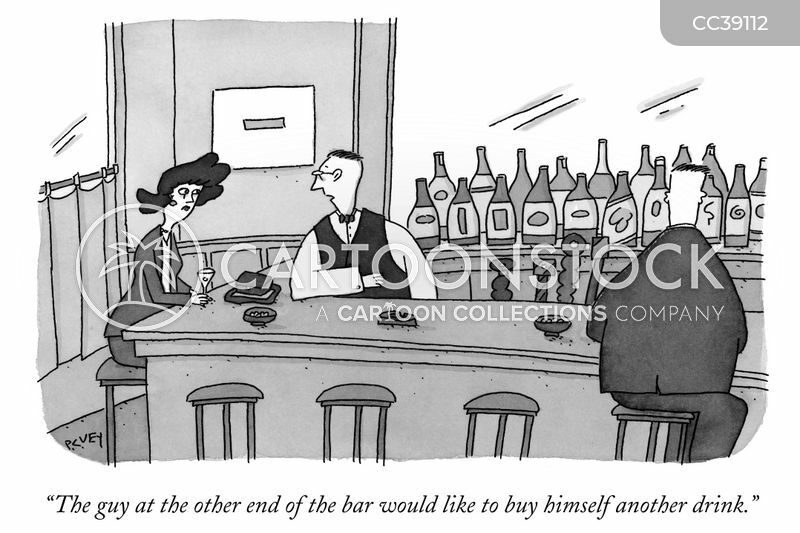 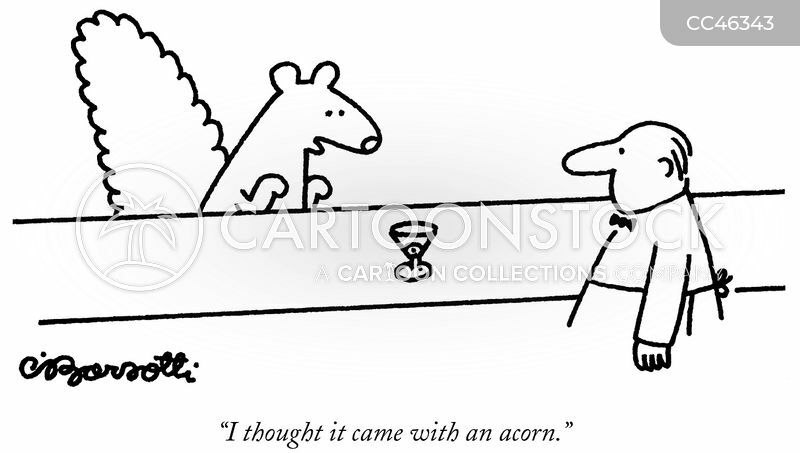 "The guy at the other end of the bar would like to buy himself another drink." 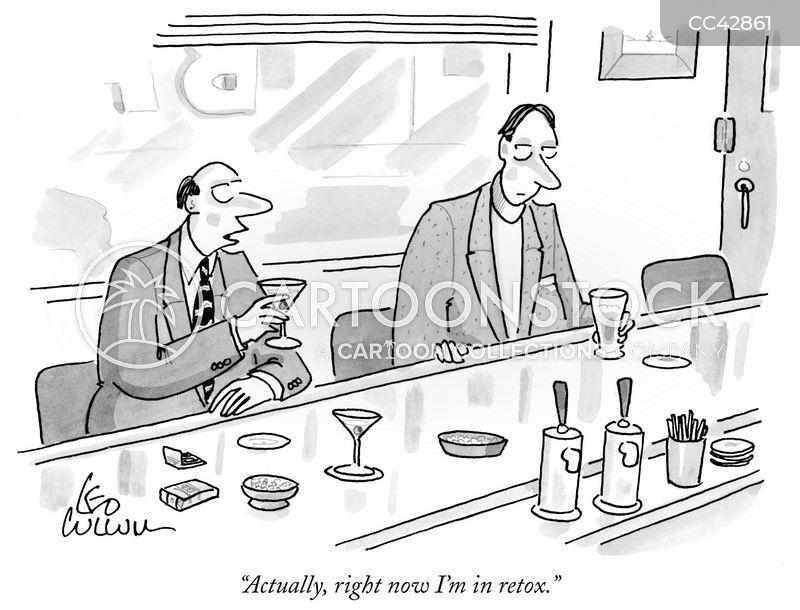 "Actually, right now I'm in retox." 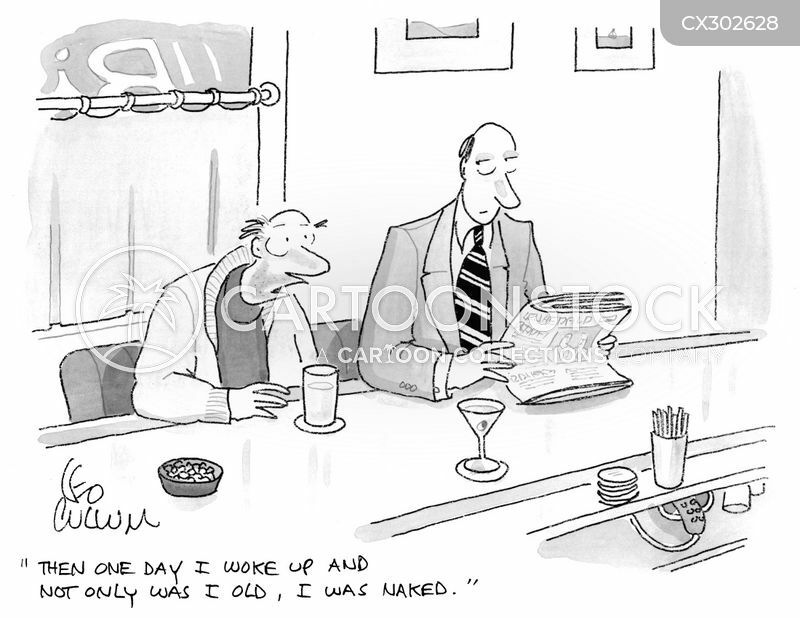 "Then one day I woke up and not only was I old, I was naked." 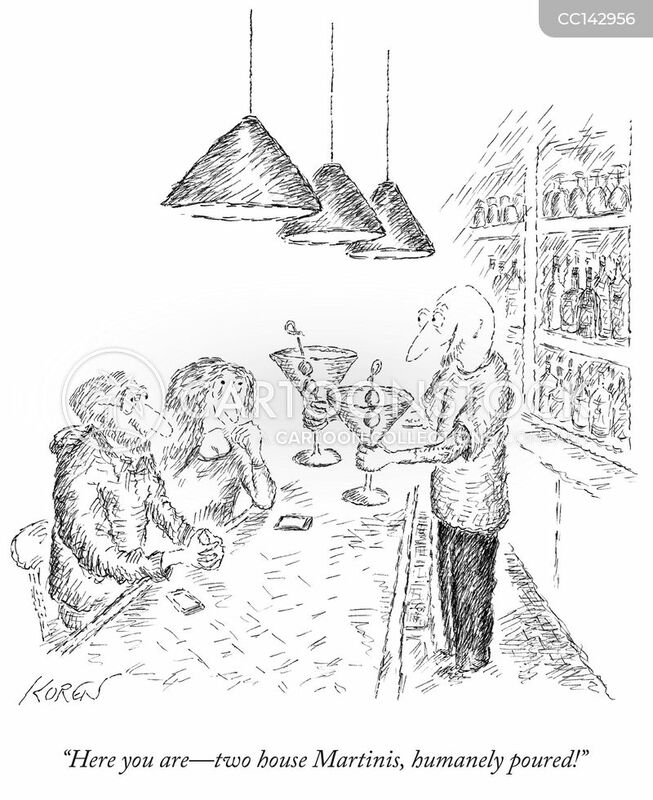 "Actually, I'm not a New York Yankees fan. 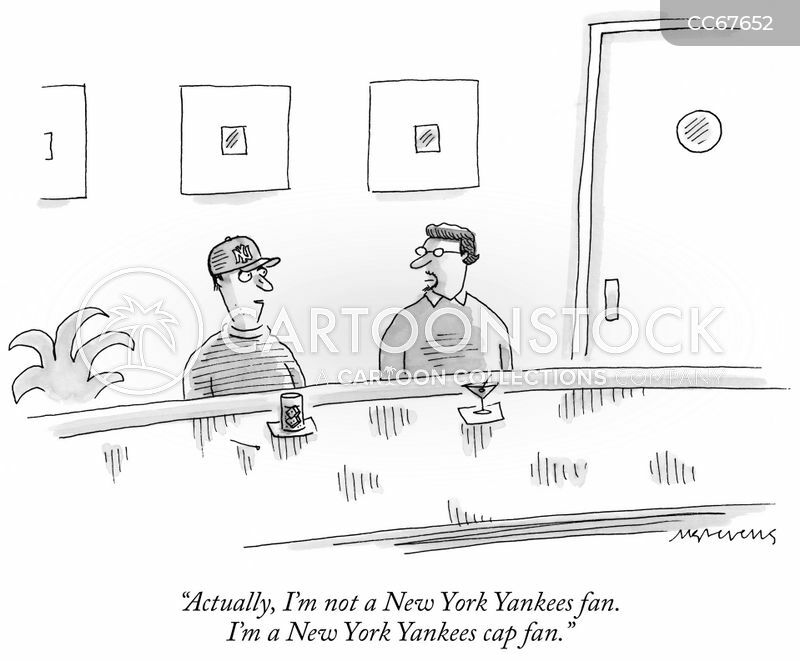 I'm a New York Yankees cap fan." 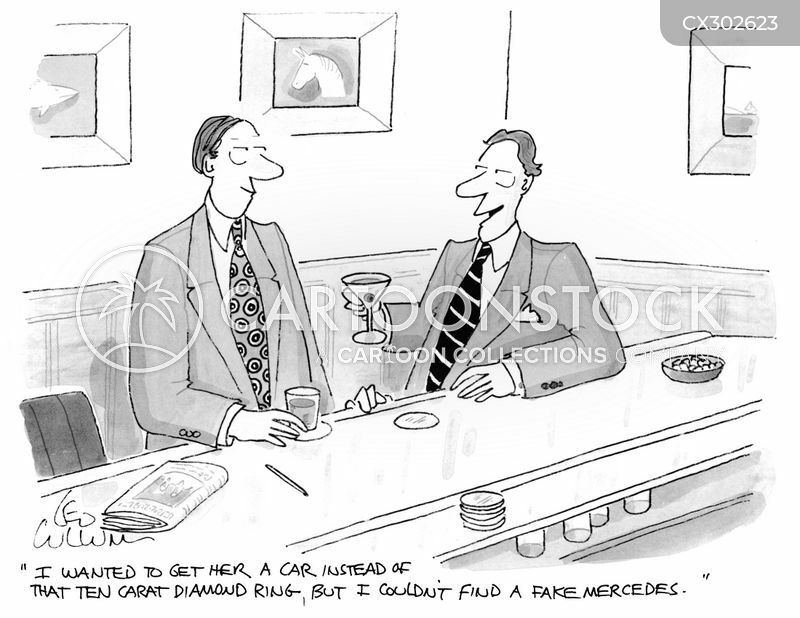 "I wanted to get her a car instead of that ten carat diamond ring, but I couldn't find a fake Mercedes." 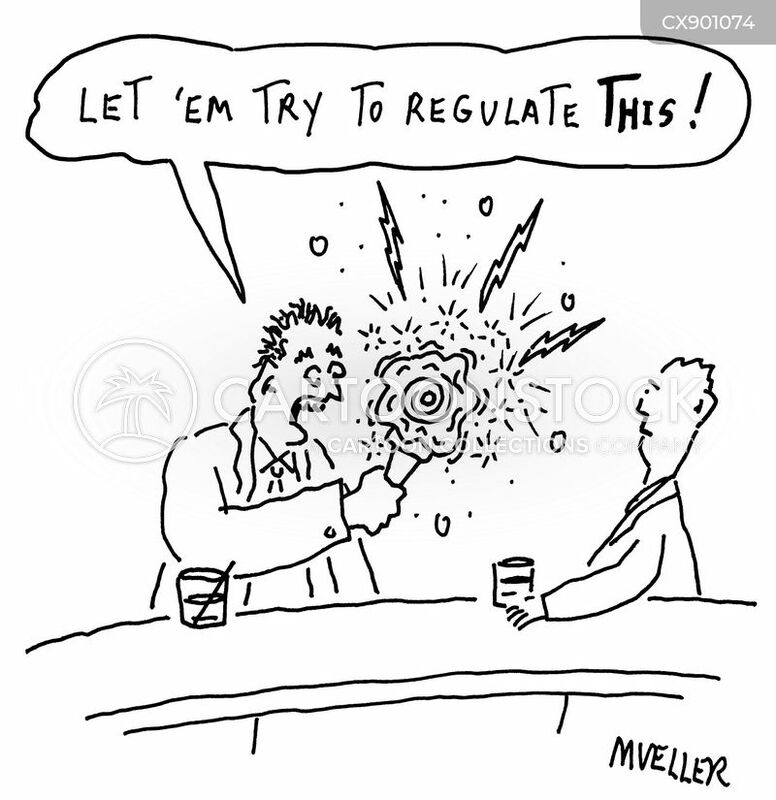 "Let 'em try to regulate this!" 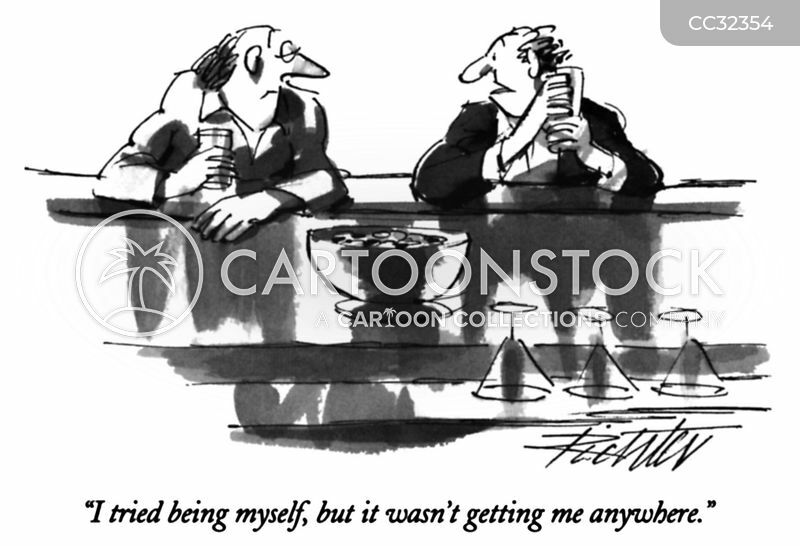 "I tried being myself, but it wasn't getting me anywhere." 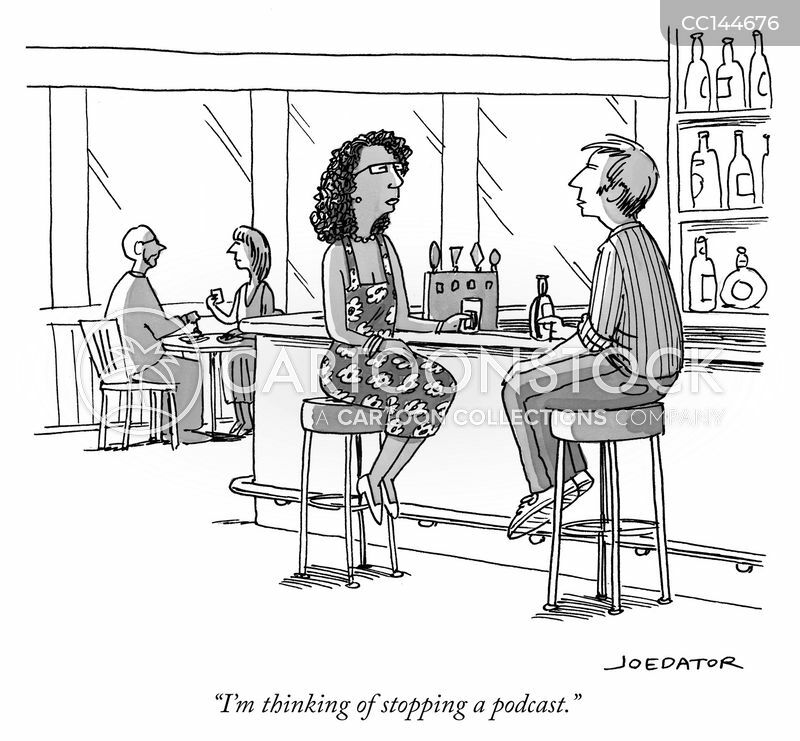 "I'm thinking of stopping a podcast." 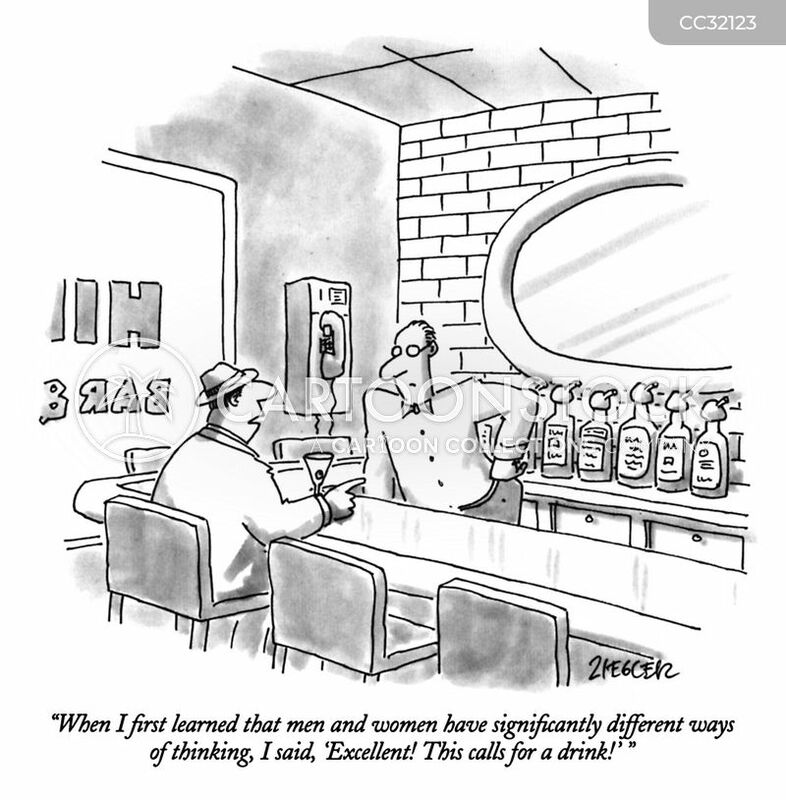 "When I first learned that men and women have significantly different ways of thinking, I said, 'Excellent! 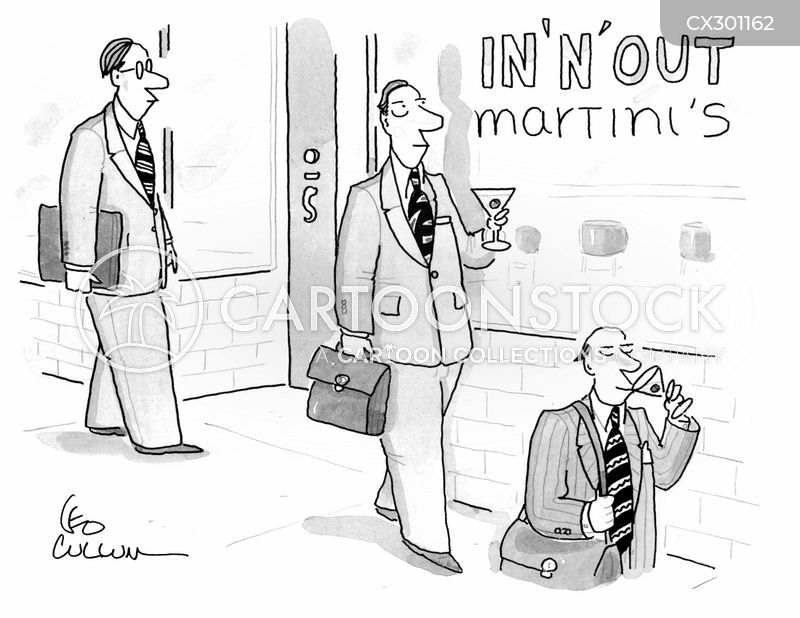 This calls for a drink!' 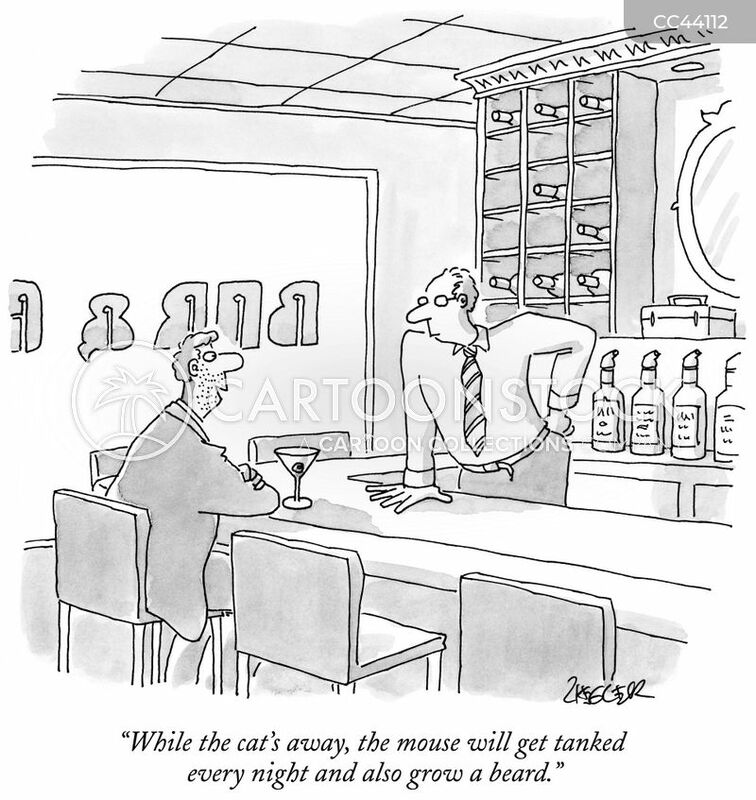 "
"While the cat's away, the mouse will get tanked every night and also grow a beard." 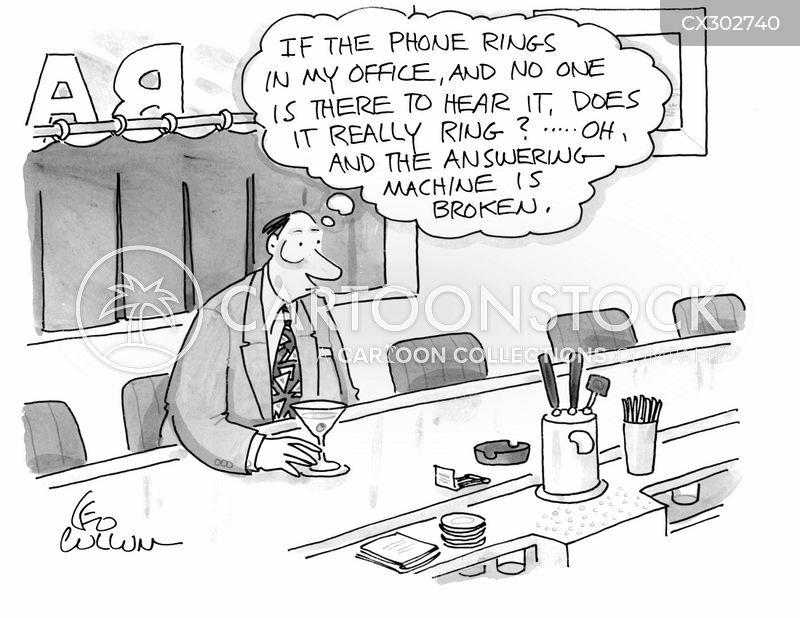 "Hey, gang! 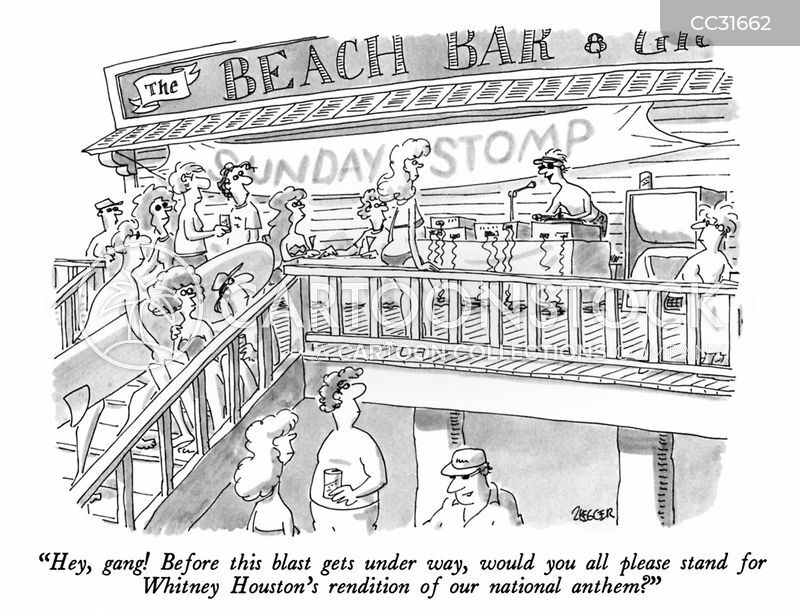 Before this blast gets under way, would you all please stand for Whitney Houston's rendition of our national anthem?" 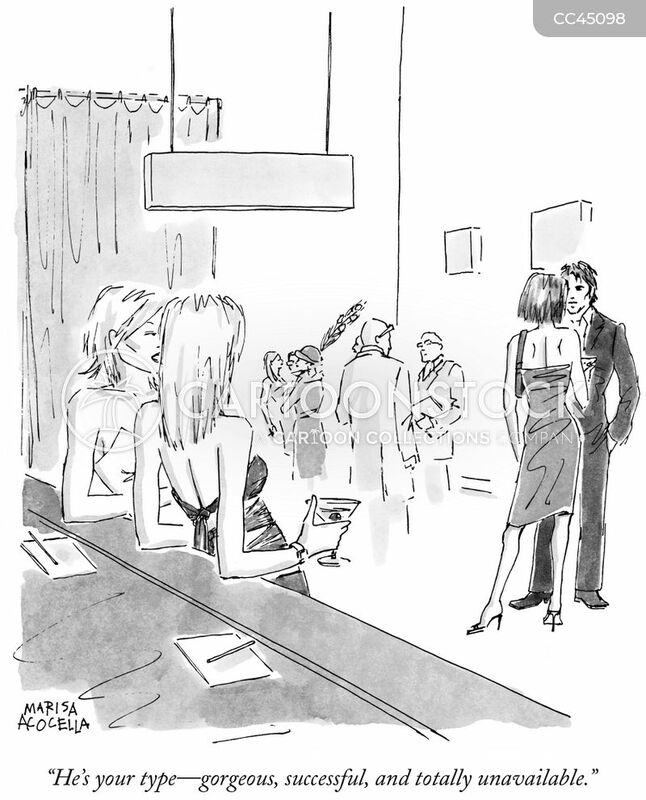 "He's your type--gorgeous, successful, and totally unavailable." 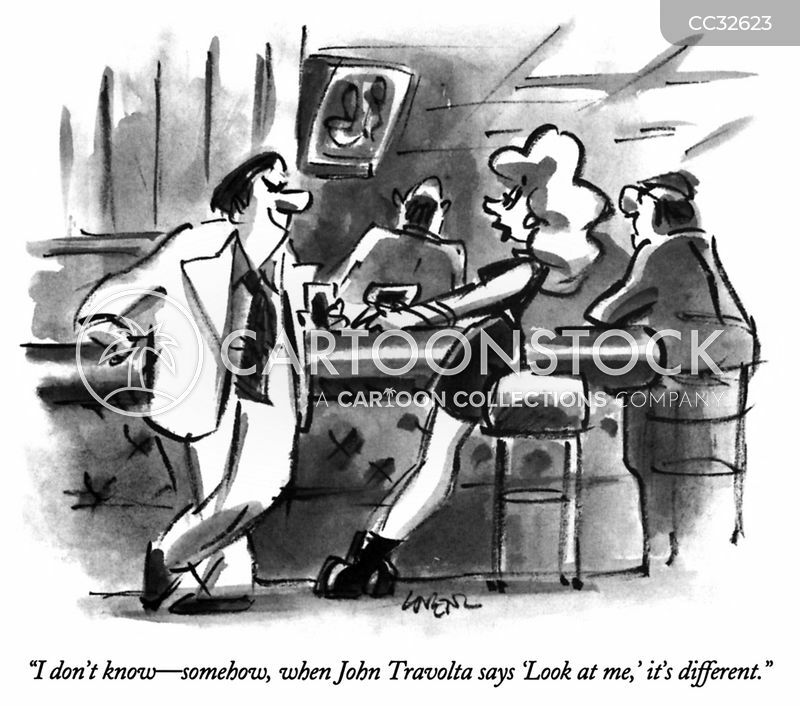 "I don't know—somehow, when John Travolta says 'Look at me,' it's different." 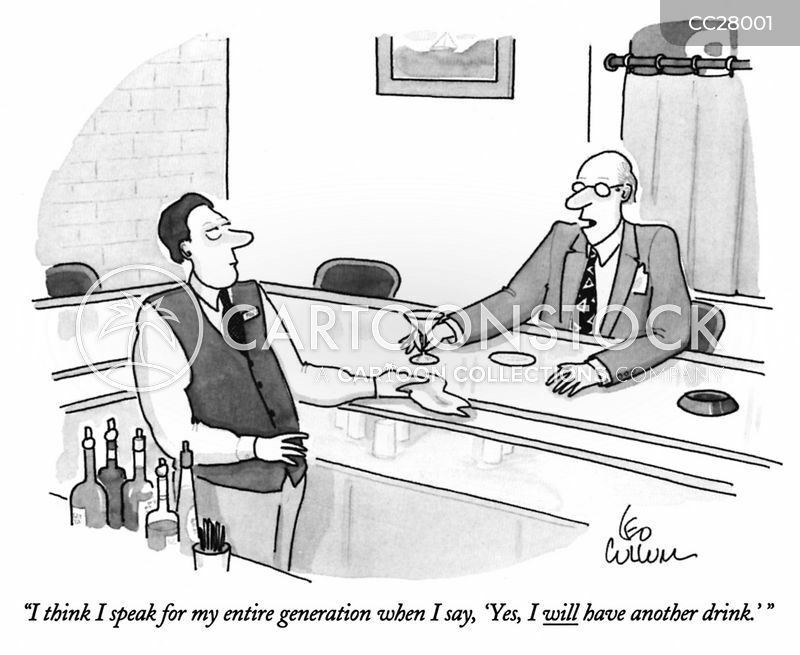 "I think I speak for my entire generation when I say, 'Yes, I will have another drink.' 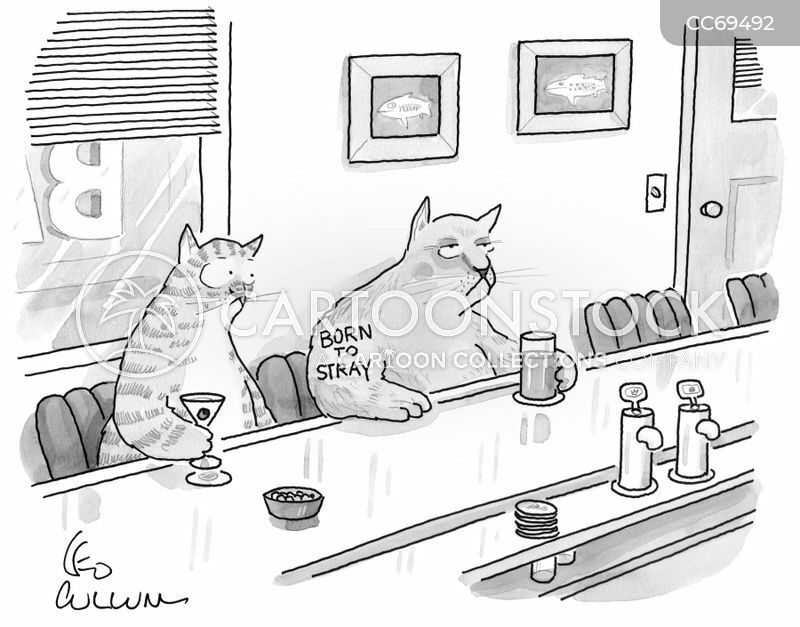 "
"But enough about my body. 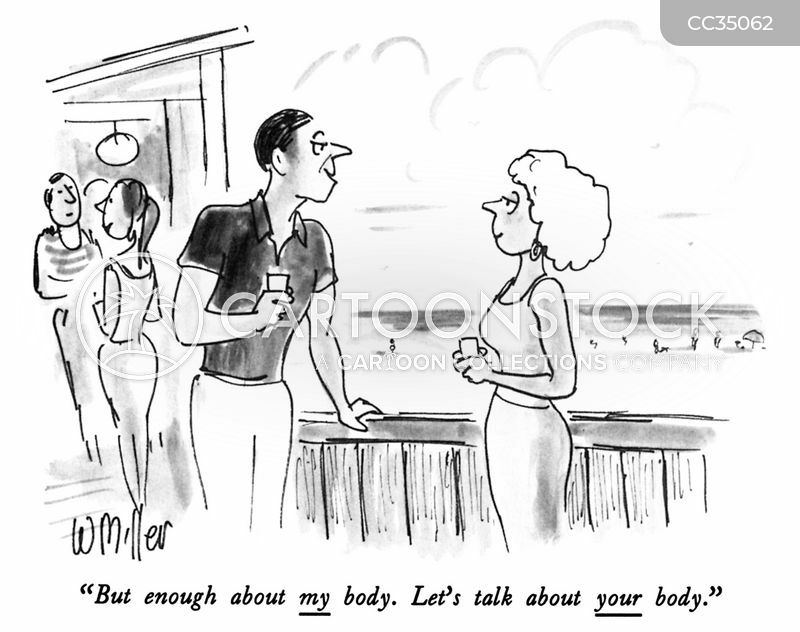 Let's talk about your body."